Frost & Sullivan has released a new report predicting a 6.2% jump in South Korea’s shipment of smart cards in 2010, rebounding from last year’s slump in demand. By the close of 2010, an estimated 49.6 million units are expected to be shipped, up from 46.7 million in 2009. Frost & Sullivan industry analyst Navin Rajendra expects shipment growth rates to continue rising till 2015 given the nation’s appetite for newer and better technology. The report, titled “South Korea Smart Cards Market,” forecasts the market to grow at a CAGR (compound annual growth rate) of 5.6% (2009-2015), capping the year 2015 at 7.1% year-on-year growth and total smart card shipments of 68.7 million units. “Despite being one of the most advanced and saturated smart card markets in Asia, the country’s affinity towards faster and more accurate means of processing is expected to sustain the demand for smart cards as new, multi applications are embedded,” Rajendra says. 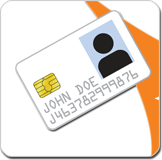 In 2005, South Korea passed an EMV (Europay MasterCard Visa) mandate, requiring that all banking cards issued be EMV-compliant chip-based cards. It’s no surprise that the banking sector makes up the biggest portion of the smart card market, accounting for 40%–18.7 million units–of the total shipment in 2009. SIM application makes up the second largest share of smart shipments at 33%–15.4 million. Although South Korea’s mobile penetration stands at close to 99%, Rajendra believes that convergence is the next big thing which is expected to keep smart card SIM shipments in demand. South Korea also initiated a smart transit project in 2003, and by 2009 the system accounted for 19%–8.9 million–of the cards shipped. Rajendra notes that many of the multi-purpose transit cards in use in South Korea – although not included in the 8.9 million – also store e-purse (either debit or credit), online functionality and ticketing capabilities. “The Korean government also allows purchases made on transit cards to be used for individual tax declaration purposes,” he adds. “Pure government applications have to date been limited to e-passports, military ID and government employee ID for some agencies. In 2011, smart card-based government IDs will become mandatory for all government departments, thus driving uptake of cards for government and multi applications further,” he says, adding that the national ID project has yet to be implemented. The South Korea Smart Cards Market study is part of the Smart Cards Growth Partnership Service program, which also includes research in the following markets: Asia-Pacific smart card integrated circuit (IC) on different form factors and best practices for contactless convergence.